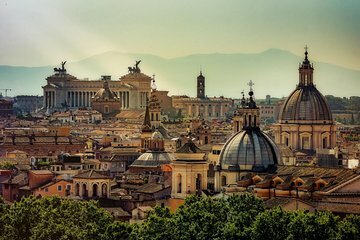 Cover the heart of the Eternal City during this action-packed, time-saver tour, which includes skip-the-line admission to the Coliseum and the Vatican Museum. Join a bonafide art historian as you explore some of the world’s most legendary ruins in the Roman Forum and Palatine Hill. Then, bypass the hours-long wait and get guaranteed direct access to Renaissance masterworks in the Vatican. Tours include free time for lunch.